This article will explain the different types of Juvenile Arthritis and give some practical tips to Help a Child Live Well With Juvenile Arthritis. If you scroll down to the end you will find links to forums and other links relating to Juvenile Arthritis. Juvenile idiopathic arthritis is currently the most widely accepted term to describe various types of chronic arthritis in children. Generalized enlargement of the lymph nodes. Inflammation of the lining of the heart or the lungs (pericarditis or pleuritis). The characteristic rheumatoid rash, which is flat, pale, pink, and generally not itchy. The individual spots of the rash are usually the size of a quarter or smaller. They are present for a few minutes to a few hours, and then disappear without any changes in the skin. The rash may move from one part of the body to another. Persistent oligoarthritis, which means the child never has more than four joints involved throughout the disease course. Extended oligoarthritis, which means that more than four joints are involved after the first 6 months of the disease. Polyarthritis—rheumatoid factor negative (formerly known as polyarticular juvenile rheumatoid arthritis—rheumatoid factor negative). A patient has arthritis in five or more joints during the first 6 months of disease, and all tests for rheumatoid factor (proteins produced by the immune system that can attack healthy tissue, which are commonly found in rheumatoid arthritis and juvenile arthritis) are negative. Polyarthritis—rheumatoid factor positive (formerly known as polyarticular rheumatoid arthritis—rheumatoid factor positive). A patient has arthritis in five or more joints during the first 6 months of the disease. Also, at least two tests for rheumatoid factor, at least 3 months apart, are positive. a first-degree relative with psoriasis. Undifferentiated arthritis. A child is said to have this subtype of juvenile idiopathic arthritis if the arthritis manifestations do not fulfill the criteria for one of the other six categories or if they fulfill the criteria for more than one category. How Can the Family Help a Child Live Well With Juvenile Arthritis? Juvenile arthritis affects the entire family, all of whom must cope with the special challenges of this disease. Juvenile arthritis can strain a child’s participation in social and after-school activities and make schoolwork more difficult. Family members can do several things to help the child physically and emotionally. Get the best care possible. Ensure that the child receives appropriate medical care and follows the doctor’s instructions. If possible, have a pediatric rheumatologist manage your child’s care. If such a specialist is not close by, consider having your child see one yearly or twice a year. A pediatric rheumatologist can devise a treatment plan and consult with your child’s doctor, who will help you carry it out and monitor your child’s progress. Learn as much as you can about your child’s disease and its treatment. (The resources listed at the end of this publication can help.) Many treatment options are available, and because juvenile arthritis is different in each child, what works for one may not work for another. If the medications that the doctor prescribes do not relieve symptoms or if they cause unpleasant side effects, you and your child should discuss other choices with the doctor. A person with juvenile arthritis can be more active when symptoms are controlled. Consider joining a support group. Try to find other parents and kids who face similar experiences. It can help you—and your child—to know you’re not alone. Some organizations have support groups for people with juvenile arthritis and their families. Treat the child as normally as possible. Try not to cut your child too much slack just because he or she has arthritis. Too much coddling can keep your child from being responsible and independent and can cause resentment in siblings. Encourage exercise and physical therapy for the child. For many young people, exercise and physical therapy play important roles in managing juvenile arthritis. Parents can arrange for children to participate in activities that the doctor recommends. During symptom-free periods, many doctors suggest playing team sports or doing other activities. The goal is to help keep the joints strong and flexible, to provide play time with other children, and to encourage appropriate social development. Work closely with your child’s school. Help your child’s school to develop a suitable lesson plan, and educate your child’s teacher and classmates about juvenile arthritis. Some children with juvenile arthritis may be absent from school for prolonged periods and need to have the teacher send assignments home. Some minor changes—such as having an extra set of books or leaving class a few minutes early to get to the next class on time—can be a great help. With proper attention, most children progress normally through school. Talk with your child. Explain that getting juvenile arthritis is nobody’s fault. Some children believe that juvenile arthritis is a punishment for something they did. Let your child know you are always available to listen, and help him or her in any way you can. Work with therapists or social workers. 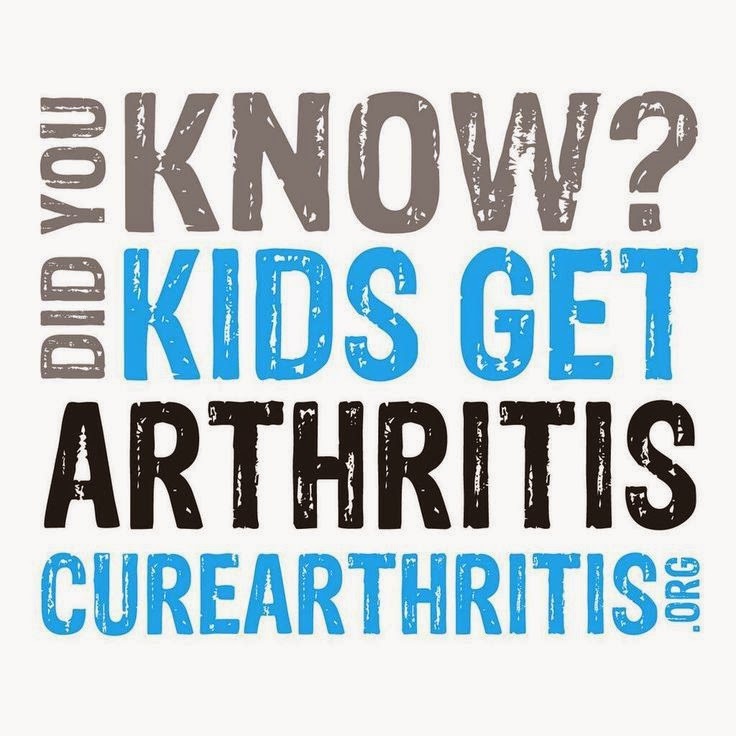 They can help you and your child adapt more easily to the lifestyle changes juvenile arthritis may bring. Do These Children Have to Limit Activities? Although pain sometimes limits physical activity, exercise is important for reducing the symptoms of juvenile arthritis and maintaining function and range of motion of the joints. Most children with juvenile arthritis can take part fully in physical activities and selected sports when their symptoms are under control. During a disease flare, however, the doctor may advise limiting certain activities, depending on the joints involved. Once the flare is over, the child can start regular activities again.